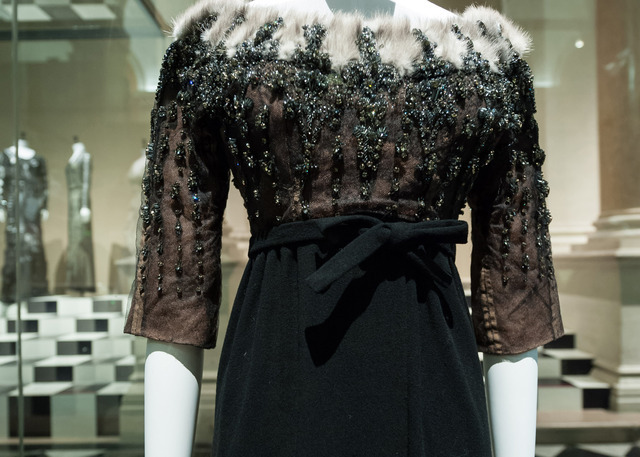 This essay is an extended review of two exhibitions: Paris Haute Couture and Roman d’une Garderobe: le chic d’une Parisienne de la Belle Époque aux Années 30, held at, respectively, the Salle Saint-Jean at the Hôtel de Ville de Paris, and the Musée Carnavalet in 2013-2014. While both exhibitions were organized by the Musée Galliera and celebrated couture, Bartlett argues that they did so from different perspectives, and expands her review into an analysis of the politics of exhibiting fashion. Due to the restoration work at its own building at that time, Galliera was forced to export these exhibitions to two other spaces, which furthermore revealed their different display agendas. While the information is plentiful in its meticulously researched and beautifully produced catalogue, the delightful dresses at the Paris Haute Couture exhibition were not embedded within a wider historical, social, or cultural context. Held at the Paris City Hall, the exhibition was intended to remind the world about one of the most exquisite achievements of French haute culture, whilst keeping this unique Parisian phenomenon shrouded in mystery. On the other hand, by focusing on a specific woman, Alice Alleaume, whose personal life and career were intertwined with couture, the exhibition Roman d’une garde-robe: le chic d’une Parisienne de la Belle Époque aux Années 30 had a different framework. In this sense, it also succeeded better to present couture not only as an elitist phenomenon but also as efficient and dynamic business model.